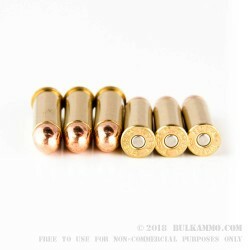 So simple and so effective: this is the proven reliable American Eagle range ammunition in the .38 special 130 grain full metal jacket load. 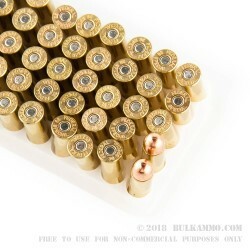 An American staple at the range and in the field, this is a round that is indelibly ingrained on the fabric of the American shooting tapestry. 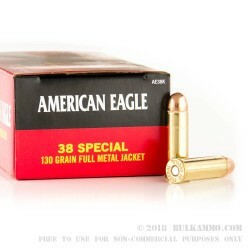 Sure, American Eagle wasn’t the first reliable .38 special, but it’s been bringing smiles to faces for decades on the range in this caliber with the mild recoil, the reliable ignition and consistent velocity; high quality powders and brass that makes the guns that shoot it, function flawlessly. 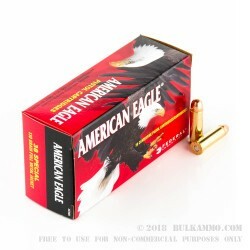 Speaking of brass, this is a super high-quality cartridge casing, with a Boxer primer that facilitates easy reloading and offers a great value-added bonus to shooters of this cartridge. There isn’t much to say about this load because, like other great loads it’s simply reliable. The most boring rounds should be the most exciting because of their lack of drama. But simply put: this is about the most uneventful round in existence, because every time you load it up and pull the trigger, it goes bang. Perhaps there should be something to be excited about in all that consistency.